Children enjoy themselves at one of our events. This summer Heritage & Culture Warwickshire will host a group of 20 Warwick children for the first of our new – look summer holiday workshops, Time Travellers. What’s more, thanks to the generous funding from the Henry VIII Endowed Trust, these children will be able to attend completely free of charge. 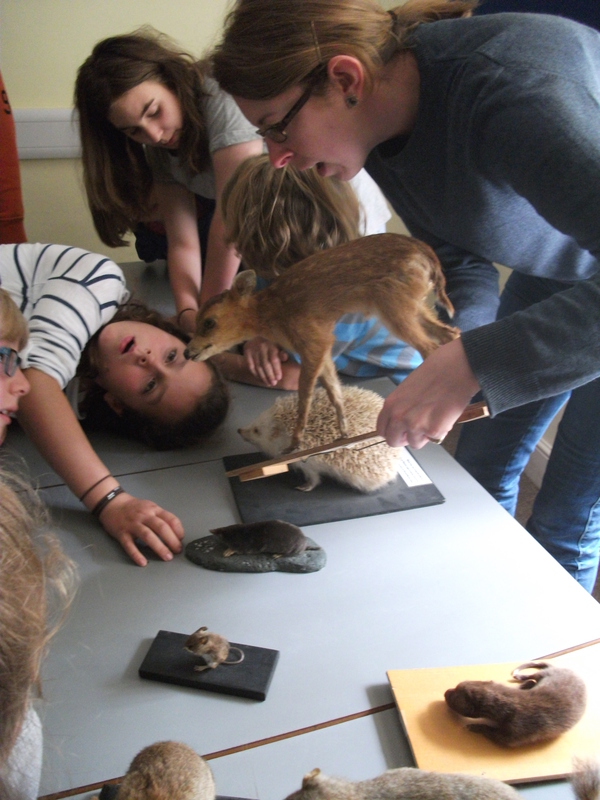 Our group of 6 to 12 year olds from Warwick schools will become Time Travellers between Monday 31st July and Friday 4th August, spending a week exploring everything from fossils to robbers. Based at St John’s Museum, Warwick, children will also get the chance to visit other sites such as Market Hall Museum and the County Record Office, where children will investigate objects and documents from Warwickshire’s past. Each day will be a mixture of hands on activities, making things and learning new skills. The week will culminate at a special event for friends and family on Friday 4th August, where their week’s work will be showcased in a special Time Travellers exhibition at the newly reopened Market Hall Museum. This exhibition will be in place until mid autumn. Monday: Fossil Frenzy: Design a museum trail, discover the fossils at Market Hall Museum, make a 3D sculpture. Tuesday: Awesome Archives: Come face to face with colourful characters from the archives, write a blog for our community website, get graphic with graffiti. Wednesday: Dig Delight: Be a young archaeologist, take part in a mini dig, make your own artefact. Thursday: Fantastic Beasts: Come on a nature trail, explore your finds with digital microscopes, discover our taxidermy collection. Friday: Lights, Camera, Action: Make a story of your week using stop go animation, prepare an exhibition for friends and family, invite them along to a special event to see your exhibition. Watch this space for more information. On one of the days we will be getting the children to write their own entry for this website.